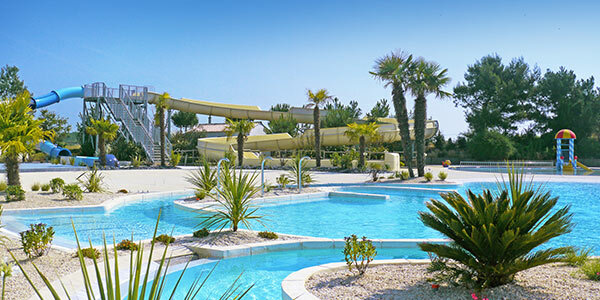 Family orientated resort, "label famille plus"
Access to the beach via the new Mizottes walkway, just 900m from the campsite. Modern, spacious and stylishly decorated, for new generation camping this type of accommodation offers numerous advantages. 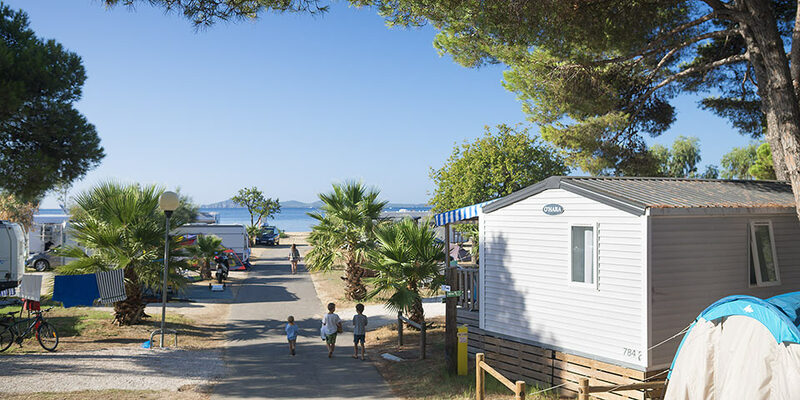 The Privilege chalets and mobile homes offer you access to extra services and and equipment included in the price : TV, unlimited WIFI (1 user), dish washer, plancha for our campsites in La Tranche sur Mer. Pets are allowed in accommodation in the range PRIVILEGE, with a supplement of 60 €. 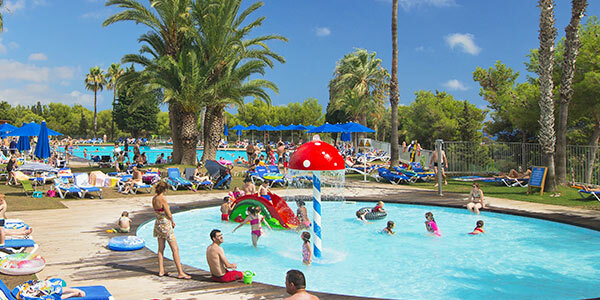 Outside pools are only accessible in July and August. 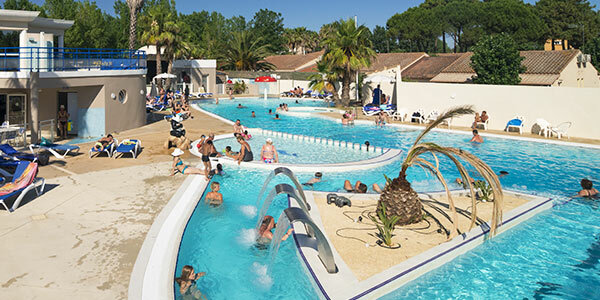 The indoor pool is accessible from April at the campsite Les Blancs Chênes. 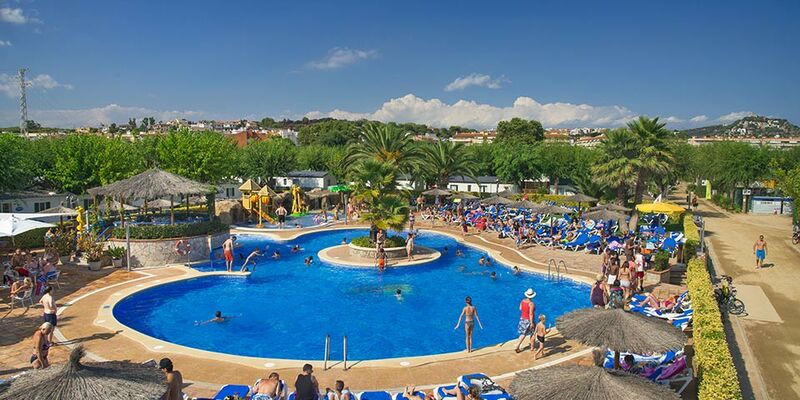 You have access to all of the onsite services: service of drinks during the high season (july and august), WiFi, grocer's and TV. Please note : In accordance with a municipal by-law, charcoal barbecues are prohibited. 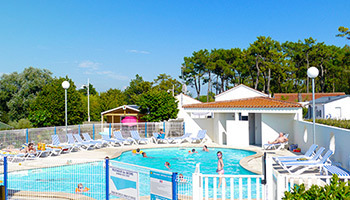 You can take advantage of all the activities run by Les Blancs Chênes, or simply enjoy the facilities on site: ping-pong table, mini-golf and pétanque (bowls) pitch. Set off on the latest historical adventure, with a new riddle trail. Discover the Poitevin marshes by boat or canoe. Travel through time to the Viking age, watch a jousting tournament, see musketeers duelling, etc. The biggest tree-top adventure trail in western France. A real-time learning experience of prehistory: a step back nearly 5,000 years in time. Guided visit by boat : 2h30 of calm, relaxation and discovery. Information centre on trees and honey. Microlight flights in the Vendee, discover the fun of a microlight or gyroplane flight, unforgettable flghts at reasonable prices. Open all year round, by appointment only. The place to be for one of the most beautiful miniature villages in France. High-quality artistic progamme that reflects the vitality of the Atlantic coast through cultural exchanges. Hikig and races, 1stSunday in April every year. Choice of 3 courses, 8km (discovery), 13km (challenger), 26km (nature defier), plus 2 hikingcourses, 8 & 13km. All summer, with a guide or in gtoups, Frederic Lech proposes fishing and leisure activities. All activities are guided by a certified minitor. Equipment is icluded for all activities. Professional parachuting school, initiation with tandem jumping. A11 "Océane" motorway: Paris - Le Mans - Angers - Nantes - La Roche sur Yon. Then take the direction of La Tranche sur Mer. A87 motorway: Angers - Cholet, Les Essarts - La Roche sur Yon. Then take the direction of La Tranche sur Mer. A10 "Aquitaine" motorway: Bordeaux - Saintes - Niort - Fontenay le Comte - Luçon - La Tranche sur Mer (D747). 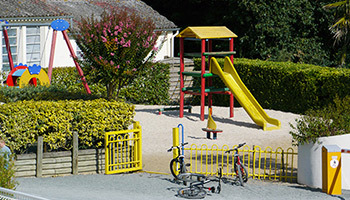 D747 - Drive past Les Blancs Chênes campsite. At the roundabout, take the direction of l?Aiguillon sur mer. At the next roundabout, turn right. At the 3rd roundabout follow your road (left hand side) to l?Aiguillon sur Mer. Keep your eye out on your right and you will eventually see the campsite. 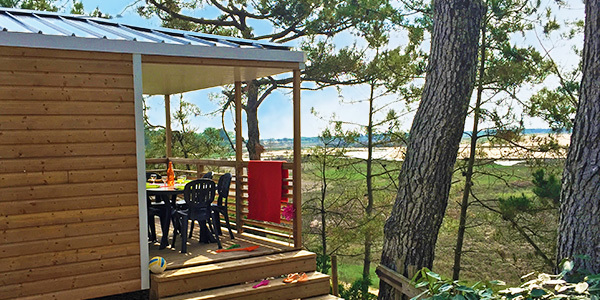 Lovers of heritage, nature and gastronomy, enjoy the diversity of tourism Vendee during your camping trip. 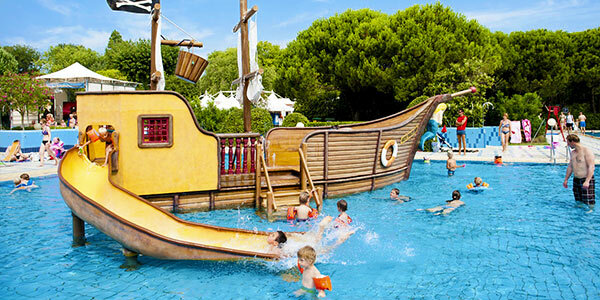 Activities, please consult the offocial tourist office site of La Tranche sur Mer.